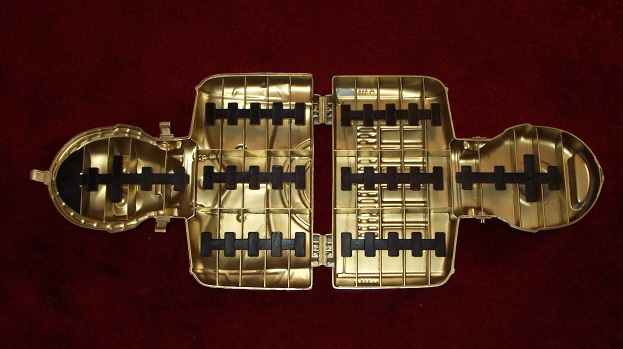 This is a hardcopy C-3PO storage case that was used for Kenner catalog photography. 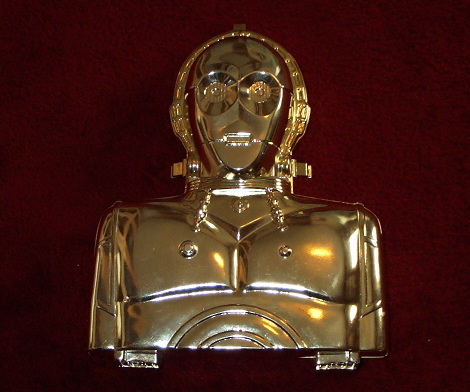 The exterior is handpainted in a metallic coat with the structure of the case made of resin/urethane. The interior is also painted. The entire case has the density and weight of a typical Kenner hardcopy from this era.